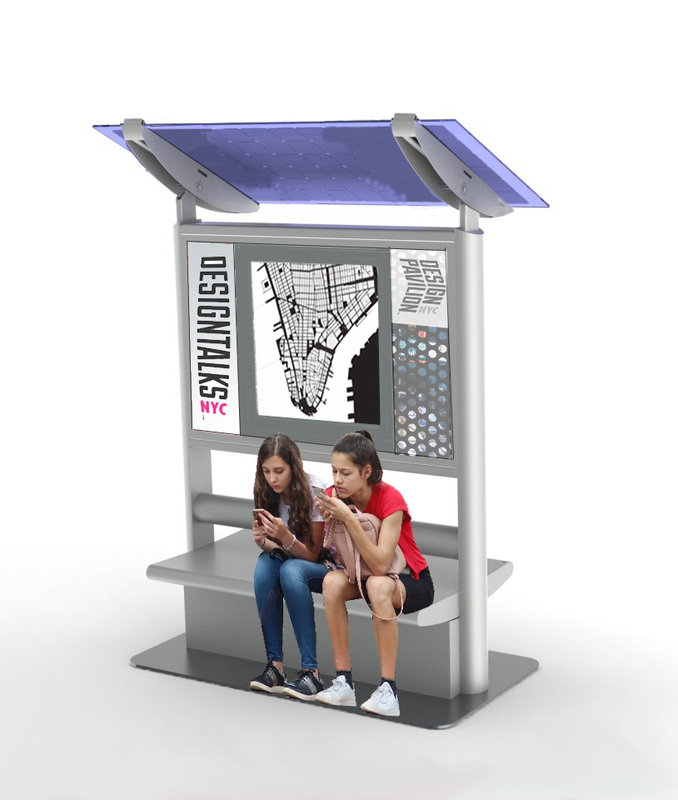 Public events and business offerings are communicated in real-time on the E Ink interactive bulletin board, while waiting for a friend or bus. Visitors & neighbors stop by the solstreet bench to recharge while being updated on what's going on locally. Solar enables installation without expensive trenching. There is no cost to the community for solstreet installation and maintenance. A large percentage of media sales goes directly to the park, BID, community, university, developer or municipality. 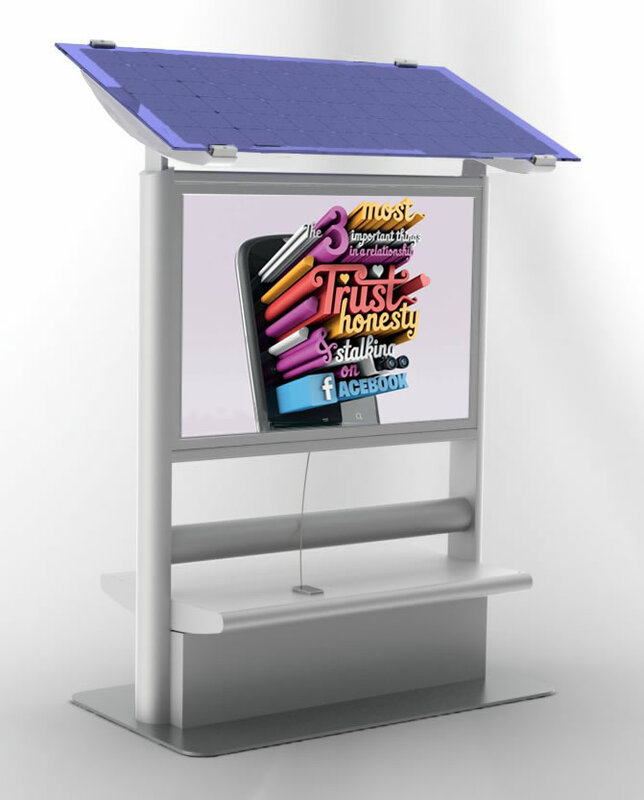 E Ink signs empower community members to share relevant local content. Our media partner procures and maintains the full color national advertising. Protected under U.S. Utility Patent 8,075,054.